In the Czech Republic there are very few publicly traded real-estate owning entities. Many previously publicly traded real-estate companies were later taken private. Currently, publicly traded real-estate entities include investment funds that issue tradable fund units and foreign companies offering a limited amount of stocks. Structuring options are usually driven by tax or financing considerations. Company transformations may be applicable in cases where the combination or division of the property is required (eg, selling a bigger portfolio of real estate to various buyers or selling a major land area by dividing the land parcels through splitting the holding company). While an acquisition via an asset deal may be less practical in a business combination involving a publicly traded entity, this could be an option in a transaction involving a privately held real-estate owning entity. An asset deal may be chosen when the acquisition of the property’s special purpose vehicle (SPV) is not desired due to its history or relating disputes. Asset deals are subject to a transfer tax payable by the acquirer (4 per cent of the purchase price or property value). The seller is taxed on the income realised from the transaction. Other forms of business combinations applied to publicly traded companies are frequently used in transactions involving privately held entities that own real estate. signing, closing and post-closing obligations. Pre-negotiations are handled informally. Their results are usually documented in heads of terms, LoIs or memoranda of understanding. These documents may be binding or non-binding. The results of due diligence are reflected in the deal structure and terms of the definitive agreements. Contract negotiations do not differ from other jurisdictions. They are often handled by legal counsels. Signing usually requires the presence of a notary due to the high requirements for formal authorisation and for effecting corporate changes of the target company. Signing and closing may run simultaneously or with a time lag. In the latter case, an escrow structure may be necessary. The post-closing obligations include registering with public registers (commercial register or real-estate cadastre) and tax filings (asset deals). In case of public entities, the operator of the capital market where the entity is listed must also be notified of an acquisition. Capital Markets Act (Act No. 256/2004). There are extensive regulations regarding residential assets, including planning and zoning regulations, environmental laws, and hygiene and fire protection requirements. These issues are considered material and are duly reviewed in the course of the transaction. In case of agricultural assets, material issues include still pending restitution claims, forestry planning and potential donation terms for farming businesses. The above-mentioned rarely impact on structuring alternatives and structuring is primarily driven by tax and financing considerations. There are no special regulations or obstacles for cross-border combinations structured as share deals or asset deals. Foreign investors are entitled to acquire real estate or shares in companies on terms similar to Czech investors. Cross-border mergers and spin-offs are only allowed for companies incorporated in the member states of the European Union and the European Economic Area. The transformation process is more complicated and involves additional disclosure obligations. Each company involved in the transformation carries out the process in accordance with the laws of its incorporation. Czech companies must obtain a certificate from a notary, confirming that the requirements of the Czech law have been met. Companies from non-EU countries may not participate on cross-border mergers with Czech companies. The definitive agreements are typically governed by Czech law and therefore fall under the jurisdiction of Czech courts by default. The parties may choose for the agreement to be governed by a different law, especially in real-estate transactions where the properties are located in multiple countries. However, even in these cases, a transfer agreement is typically signed under Czech law in order to register the transaction in the public real-estate cadastre and the commercial register. Parties often choose arbitration as an alternative to court, whether with Czech or foreign arbitration courts. rules related to company transformations. The scope of disclosure may depend both on the size of the transaction and on the transaction structure. Compared to all-cash transactions, transactions with consideration in the form of shares include additional minor disclosure obligations; all changes in the public entity’s participation in other businesses must be notified to the operator of the capital market. Public entities, in general, are obliged to publish detailed annual and mid-year reports with additional information (as compared to private entities). These reports should reflect any significant changes to the equity structure (including major acquisitions). Moreover, the reports must explain the public entity’s business results and highlight major business activities, including any material business combinations. the issuer’s participation in other businesses (ie, any business combination). changes of the company statutes. In case of spin-offs, the project must also specify the property transferred to each of the successor companies. The directors are always obliged to procure the transaction with due professional care. Other material duties vary depending on the structure of the transaction. procure the publication of documents. In case of transactions which require the approval of a general meeting, the directors of public companies bear additional obligations towards the shareholders. They are obliged to send an invitation to the general meeting with additional information about the contemplated transaction, its rationale, information on shareholders’ voting rights and required majorities, and provide the option to participate in the general meeting. They must further create and make available a form of power-of-attorney, that the shareholders may use for distant voting. The consent of general meeting is required for major transactions which impact the public entity’s business, transactions changing registered capital and in other cases specified in the company statutes. Controlling shareholders do not have similar obligations. Shareholders rights that affect business decisions of a company are limited to transactions that require the general meeting’s approval. Such approval is required by law for transactions that lead to substantial change of business operation or to any change of statutes, those structured as company transformations and going-private transactions. The company’s statutes may also require the approval of shareholders. Those with shares exceeding certain thresholds have the right to request the general meeting’s approval for any other transaction. The thresholds amount to 1 per cent, 3 per cent or 5 per cent, depending on the amount of company’s registered capital. make their own proposals regarding the transaction. the shareholder rights are modified. In cases of going-private transactions, shareholders are entitled to sell their shares for a fair price to the company, provided that they did not vote for the delisting of the shares from the regulated market. The options to structure around shareholder dissent are limited mainly to avoiding structures, that require the consent of a general meeting (eg, mergers and spin-offs). Czech law allows for termination fees, and does not set any limits on that amount. However, should such a fee be disproportionately high compared to the transaction value, it may be declared invalid by a court. Typically, termination fees do not exceed 20 per cent of a transaction’s value. More often than break-up fees, contractual penalties are used to secure contractual obligations in final agreements. Similar to break-up fees, they are not limited with regards to their amount. In the case of disputes, the contractual penalties may be subject to the moderation consideration of the court. 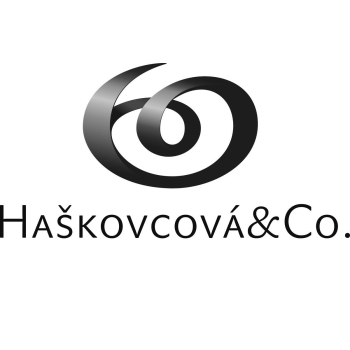 The various methods protecting against unsolicited acquisitions that are widely used in international business are also practisable in the Czech Republic. Admissible methods are ‘greenmail’ (the target company buys the stocks owned by the unsolicited investor above market value in exchange for the investor not to finalising the takeover of the target company) and ‘poison pills’ (target company issues new shares and sells them to its core stockholders in order to minimise the investor’s influence in the company). The latter can be supported by issuing priority bonds to the company’s shareholders as a preventive measure, as these give their holders a priority right to acquire the company’s stocks. Other methods include provisions related to the company’s statutory body, including the ‘golden parachute’, which grants the statutory members high severance pay, or ‘shark repellent’, which sets rules that make it difficult to change members of the statutory body. The general limitation on any strategies and decisions made by the company’s board is due care and professional management. A board’s decision to adopt any of the above methods may not cause damage to the company or its stockholders, to the extent a prudent manager may have foreseen the impact of his or her decision. The target company is not obliged to notify its shareholders of the sale of real estate that is an individual asset. The shareholders receive such information at a general meeting approving the financial statements for the previous accounting period. Where the sale of real estate is a part of a going concern or a merger or spin-off, the approval of the company’s general meeting of shareholders is required. value added tax (VAT): 21 per cent of the taxable income or 15 per cent reduced rate (for new residential units). All the above taxes apply to asset deals. Transfer tax and VAT is not applied to share deals. In addition, the transaction may be exempt from CIT on certain conditions. A special 35 per cent tax rate for CIT is applied to certain non-EU companies. Mergers and spin-offs are not subject to transfer tax and VAT. Usually, there is no significant impact on CIT liability. It is possible to transfer loss carry-forwards and other deductible items to the successor company. Mergers are often a combination deal following a share-deal financed by debt to achieve tax deductibility of interest. In cases of the sale of real estate as a going concern, no transfer tax and VAT is applied. It is possible to transfer loss carry-forwards and other deductible items on the purchaser. The measures for tax risks mitigation start with proper tax and financial due diligence of the target company and the asset, followed by respective representations and warranties (R&Ws) in the transfer documentation. In case some risk seems as probable, a holdback of a portion of the purchase price may be considered. The acquirer usually requires the submission of the ‘Confirmation of non-indebtedness’ of the seller, issued by the tax authority confirming that the seller has no outstanding tax or payment obligations towards the state. The most popular acquisition vehicle is a limited liability company owing to its easy, quick and inexpensive setup process. Investors also use joint stock companies and limited partnerships depending on their preferences and intentions. Limited partnership are an interesting alternative as such company is deemed to be a Czech tax resident while part of company’s tax base attributable to the unlimited partner is taxed as part of its tax base, even if such partner is a foreign entity. Formerly, Czech real-estate investment funds (REIFs) were used, but due to legislative changes limiting the beneficial tax rate of 5 per cent to very narrow group of the funds, these are not popular nowadays. compliance with the disclosure and other legal requirements. These considerations apply regardless of the structure of the target. notification is given to the Czech National Bank, the authority dealing with deposition of the shares and other authorities (if involved) by the stock market organiser on withdrawal of the shares from the stock market. According to the civil code effective from 2014 in the Czech Republic, only binding contracts on future contracts (containing either obligations of both prospective parties to the definitive agreement or an undertaking to enter into such agreement by one of the parties) are recognised by Czech law. However, regardless of the above, non-binding preliminary agreements, such as LoIs are still widely used in all types of real-estate business combinations, especially in the earlier stages of the negotiations. It is also very common that a non-binding preliminary agreement is subsequently replaced by a binding agreement once the parties proceed further with the negotiations. The non-binding preliminary agreements are generally not judicially enforceable. However, according to Czech law, unjustified termination of pre-contractual negotiations in the final stage of such negotiations may lead to a liability for damages (pre-contractual liability), whereas the preliminary agreements may either include an explicit agreement concerning the manner of reimbursement of the parties’ costs in case of termination of the negotiations or serve as an important evidence with respect to pre-contractual liability. Special attention must be given to the drafting of preliminary agreements, as such agreements may be often considered by the courts as binding. Under Czech law, a purchase agreement concerning the transfer of real estate always needs to be in writing, signed with verified signatures and contain, at least, a detailed description of the transferred properties, and the purchase price or a manner of its determination. R&Ws are not mandatory (certain warranties arise directly from the law) but are highly advisable and very common. R&Ws usually concern good title, non-existence of encumbrances and other third-party claims, and compliance with the building and construction regulations. Contracts concerning major real-estate transactions usually also include also the mechanism of claim procedures, should any defective or misleading warranties occur. Purchase agreements also commonly address mechanism of payment of the purchase price. The most common solution in this regard is an escrow of the purchase price by a third-party escrow agent (eg, an attorney, a notary or a bank) between signing and closing of the transaction. In case of an asset transfer, due to the specific regime of passing on title to the property (title is only passed on upon registering the real-estate register which may take several months) specific covenants on the seller regarding safeguarding the status and conditions of the property between signing the purchase contract and registration of title are introduced to protect the buyer in the interim period. In cases where the buyer acquires an interest in a public target as the result of an acquisition and its share on the target’s voting rights exceeds certain thresholds stipulated by the Act on undertakings on the capital market, the buyer may be required to notify the Czech National Bank of the acquisition. The same obligation applies to the seller, in cases of sales of its interest. There are, however, no limits on acquiring such interests neither in the applicable law nor regulatory related regimes. A good ownership title to the property is always the issue of utmost importance in all real-estate transactions. Although the ownership rights to most types of real estate are registered in the real estate cadastre, potential disputes concerning the ownership title are not unusual. Other issues typically arise from legal due diligence and may concern various topics (eg, invalid or otherwise defective lease contracts, issues with neighbours or construction law etc). The solution of such findings then depends on their importance (eg, buyers would usually require the most important issues to be remedied prior to the completion of the transaction and so the remedy will be a condition of signing or closing). Remedy of minor issues may be allowed as a post-closing obligation of the seller, whereas the seller’s failure to ensure fulfilment of such obligations may trigger a discount on the purchase price. Once a transaction is completed, neither party usually wants to terminate the purchase agreement unless a very important issue occurs (eg, breach of a warranty which may constitute major damage, as for example, warranty concerning ownership title). The termination rights are therefore very limited. Termination rights arising from law are frequently excluded by the transaction’s parties. The Czech environmental law is generally based on the ‘polluter pays’ principle. As a result hereof, the transfer of the ownership right to a real property does not exclude the seller from their liability to remedy the property’s environmental burdens if the seller caused them. Even in case the respective purchase agreement does not contain any R&Ws in this respect, the buyer may be authorised to approach the authorities and request them to force the seller to ensure remediation. Regardless of the above, the buyers usually actively approach this issue and require the sellers to provide R&Ws that the real-estate properties are free from any environmental burdens and that the activities of the previous owners did not contravene any applicable environmental regulation. A potential breach of such an R&W subsequently triggers a contractual obligation, whereas the specific type of compensation depends on the contractual claim procedure. Obligations may include liability for damages, price adjustment, contractual penalties or even termination rights. After the fall of the Communist regime in the Czech Republic, the Czech state introduced various laws in order to rectify the forced foreclosures of real-estate properties during the Communist era (1948-1989). As a result hereof, prospective buyers of real estate must conduct research to determine whether the concerned property is not subject to a restitution claim from its previous owners or their legal successors. Although the private restitutions are now mainly resolved, restitution of assets formerly owned by religious institutions and confiscated in the past by the state under the Communist regime, known as ‘church restitution’, only commenced in 2013. The prospective buyers therefore commonly require a confirmation of the Czech Land Office on non-existence of restitution claims and a warranty of the buyers in this respect. Liability for compliance of real estate (and its potential refurbishments) with the construction laws and heritage protection is also a common point of negotiations. The compliance with the construction laws is usually subject to enhanced legal due diligence and corresponding R&Ws of the sellers are required as well. non-existence of any undisclosed liabilities of the buyer to the tenants for tenants’ improvements of the leased premises. All acquisition titles to the property in the course of the past 10 years are usually being reviewed. According to section 1,091 paragraph 2 of the Civil Code, the possession in good faith of a title to a real property for a period of 10 consecutive years makes the ownership title to the respective property non-challengeable. Therefore, the purpose of such an inspection is to make sure that the title to the property may be confirmed beyond doubt, based on the test of good faith possession by a holder of the title. Liens on real estate need to be registered in the real estate cadastre to become effective and thus, all mortgage agreements relating to liens registered in the cadastre are subject to review. All ongoing and completed insolvency and bankruptcy proceedings are being registered in the insolvency registry, whereas the documents relating to such proceedings are usually available online. Nevertheless, R&Ws on the non-existence of any insolvency and bankruptcy proceeding is always required to be provided by all parties. As there is no registry of ongoing litigations, the research on the litigations usually requires disclosure by the party to such litigation. Corresponding R&Ws on complete disclosure with respect to any potential or ongoing litigations is always required. Title insurance is available and rather common. Other commonly used solutions are holdbacks, price adjustments and the right to withdraw from the transaction. Purchase of R&W insurance is becoming common practice. More frequent is buyer’s insurance. status, licences, liabilities and compliance with laws. The parties usually tend to exclude the statutory mechanisms relating to remedies for a breach of contract and negotiate specific and detailed mechanisms in the purchase agreement itself. Remediation of the situation constituting a breach of the contract is usually being preferred over monetary compensation of the consequences and thus, the non-breaching party is usually required to provide a remediation period and any reasonably requested cooperation. Such a remediation period does not need to be provided if any delay would lead to incurrence or increase of potential damage. In cases where the breach is not remedied within the provided period (or cannot be remedied due to its nature), the consequences vary depending on the importance of the secured (and breached) obligation. Minor breaches usually trigger the right to claim damages or contractual penalties (if agreed in the contract). Major breaches may trigger also price adjustment or even a right to withdraw from the purchase agreement. The buyer may consider property-level indebtedness as well as senior line to repay pre-closing indebtedness or a combination of both. This depends on a number of factors of the buyer (ability to raise a senior line) as well as the target (ability to sustain debt and interest repayments), as well as the expectation of the financing banks. Most of the time Czech banks will require securing on the property, even for senior-line financing. provide necessary cooperation to the financing entity and the purchaser. In general, the obligations of the seller are the same for property-level indebtedness and for senior-line indebtedness. subordination of any existing loans provided by related parties. Cash management systems are rather uncommon, although the loan agreements may include provisions regarding dividend distribution and other payments to the shareholders. Also, it is usual the borrowers are required to use the bank account maintained by the financing bank for receiving all its income. Reserves are required for potential risks discovered by the purchaser being a borrower in the course of due diligence (eg, tax risks) or for repairs which need to be performed. financial covenants: keeping loan to value ratio (ratio of outstanding principal balance of the loan and market value of the real estate), using the bank account maintained by the financing bank. The character and number of covenants is rather dependant on the size of the transaction than on overall financing of the transaction. Going-private real-estate transactions are not very common in the Czech Republic. Therefore, standard provisions accommodated to the individual situation are applicable. The purchaser will generally be required to acquire certain share in the going-private company and such share will be pledged to the lender. Although allowed by the Czech law, REITs do not provide a significant tax-saving advantages and are not widely used for real-estate business combinations in the Czech Republic. The traditional alternatives to REITs are real estate investment funds (REIFs), which are commonly used for real-estate projects. REITs have a slightly favoured CIT regime, which has been gradually restricted since 2014. It is expected that in the near future the favourable tax regime will be limited to publicly traded REITs without major shareholders. Under Czech law, REIFs are subject to relatively high regulatory requirements and are supervised by the Czech National Bank. REIFs must be either limited to qualified (professional) investors or adhere to strict regulation of the portfolio structure and its management. The advantage of REIFs is the option to issue investment instruments and raise significant amounts of money from qualified investors or even the general public. The obvious disadvantages are high regulatory requirements and administrative costs. REIFs must be managed by licensed investment companies, and maintain contracts with fund administrators and fund depositories. Limiting a REIF to qualified investors may mitigate its disadvantages. The most common fund structure in real-estate investments used by qualified investors is the REIF. REIFs were popular thanks to a favourable CIT regime. Since the end of 2014, when the regime was significantly limited, REIFs have not been favoured for private equity investments because of complicated structure and regulatory requirements. Apart from REIFs, limited companies are strongly preferred for projects and joint ventures with small number of investors due to their flexibility, easy incorporation and low setup costs. Joint stock companies are used for large projects with higher number of investors. Neither limited companies nor joint stock companies are set up as funds so are not subject to fund regulations. In many cases they try to copy a typical private equity fund arrangement via special provisions in their respective articles of association. It is expected that, in the future, trusts will be used as a vehicle for family estates and politically exposed persons.